The National Student Media Awards are the biggest night of the Irish student calendar and the most respected student event in Ireland. Using our services we can specifically target students with your promotional messaging, creating another platform of communication for your brand. Our tailored marketing targets certain sections of the student community. Defining their age/gender/location/what year they are in plus more, offering a more efficient and cost effective student market channel. Research! Let us do it for you, we are a company that specialises in the student market and have the database to do so. We have been working in partnership with college authorities, clubs, societies and local Student Unions across the country for 17 years. Campus Ambassadors enable engagement with Irish students across the country placing the brand at the core of student life.Our Ambassadors can use innovative and relevant technology to create this engagement. 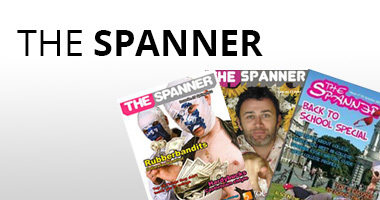 7 Years young, The Spanner is distributed by our own Oxygen.ie educators on every college campus bi-monthly, reaching every college & IT in Ireland. 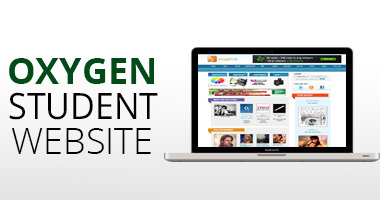 Ireland’s No 1 student portal with over 100,000 members and over 1,000,000 page impressions per month. Goody Bag campaigns offer “peer to peer” communication resulting in highly effective communications between your brand and its target audience. Our in-house team of digital experts can personify your brand and bring it into the day to day lives of your target demographic.